They’ve handpicked the world’s finest, most elevated quality and most engaging watches and made them accessible at astoundingly low costs. Ashford is a comprehensive online store that offers jewelry and luxury watches. Founded in 1997 under the leadership of Rob Shaw, Ashford has grown to become one of the biggest and most trusted online watch stores. 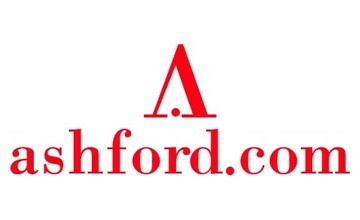 Ashford.com is now owned and operated by the Luxi Group. From a broad array of brands and styles, from casual to elegant watches, Ashford.com has something for everyone and for every occasion. Shopping for jewelry or watches online at this store is as easy as navigating through various categories, including watch type, watch style, price, brands, women’s watches, men’s watches, clearance, weekly deals and so on. Popular brands found at Ashford.com include Audemars Piguet, Baume & Mercier, Bulgari, Breitling, Chopard, Citizen and dozens of others. Ashford offers a wide variety of watch styles including luxury watches. The online store provides a convenient shopping experience. Their collection of products is sourced from some of the biggest distributors in the world. The site interface is user-friendly. A new customer can quickly access all the major features with ease. There are various categories of items on the home page. The company offers great discounts: premium watches available at Ashford.com are solved at competitive prices. The huge selection of watches and stylish jewelry gives customers an opportunity to get good value for their money.